Allegro Beverage Corp. welcomed Mr. Raymond Lau, the Export Asia Pacific Manager of Franke Coffee Systems on March 19, 2018. He introduced new products and shared marketing points on how to effectively offer Franke fully automated coffee machines to prospective offices and establishments. Allegro Beverage proudly presented the Victoria Arduino Black Eagle as the official espresso machine for the 2018 Philippine National Barista Championship. Allegro Beverage proudly presented the Victoria Arduino Black Eagle as the official espresso machine for the Philippine National Barista Championship concluded last week at the World Trade Center. 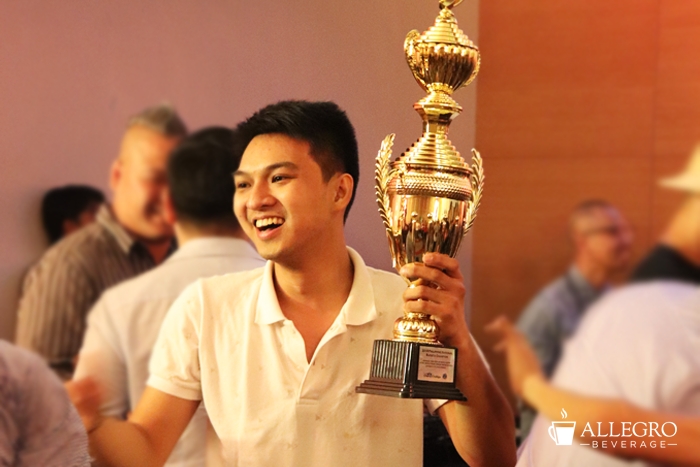 Congratulations to Aldrin Lumaban, who will represent the Philippines at the World Barista Championship to be held in Amsterdam this June 2018. The Black Eagle, the choice of champions, will also be the espresso machine used at the WBC. Congratulations to our 2018 Philippine National Coffee Champions! Mahlkonig Grinder training with Ziya Boro held at the Allegro Beverage corporate office with the Sales and Marketing team. Starbucks Philippines held an orientation and training of Victoria Arduino Black Eagle espresso machine and Nuova Simonelli Mythos One Grinder at our Allegro Beverage office with the Service Team. It was led by our Service Supervisor, Sherwin Halasan. It was attended by the Starbucks' managers and technical team. Nuova Simonelli, in partnership with Allegro Beverage Corporation, the preferred coffee solutions provider here in the Philippines, will be bringing in Hidenori Izaki (or Hide), the 2014 and first ever Asian World Barista Champion, here in Manila and he’ll be here to talk about his passion, advocacy and basically everything about coffee. Aside from being the first Asian World Barista Champion, Hide is the founder of a global coffee consulting company named Samurai Coffee Experience, in which he travels more than 200 days a year all over the world to conduct consultancy which provides education about coffee, professional barista training, roasting and product development. On top of that, he also serves as a technical consultant for an espresso machinery company. Hidenori started his coffee journey and honed his skills with Maruyama Coffee, a cafe chain and roasting company known worldwide for buying top auction lots of coffee, especially Cup of Excellence premium varieties. Maruyama is one of the most dominant coffee companies in the world, having won the Japanese Barista Championship for 5 straight years. “The reason why I started working as barista is not only because it's my last option, but also [being a] barista sounds very cool to me and I felt I can date so many ladies.. Yeah you know teenager is always like that,” he joked. A year after he started working as a barista, Hide began to compete in the Japan Barista Championship and quickly became an aficionado of barista competitions, “Ever since then.. I kept competing as I am completely obsessed with [barista] competitions and attracted how beautiful coffee community is,” he said. because all I wanted to learn is to get real communication skill with people from different culture,” he said. On top of that, Hide made sure he had fun along the way and his vision of being ladies’ man will come true, “I fell in love with so many beautiful ladies.... I dated Russian, Spanish, Korean, Chinese, British, and Polish girlfriends. Then party everyday..This is how I learned English,” he told. All of these challenges made him the person that he is right now. Culturally diverse, strong-willed, and a passionate barista who’s thirst for coffee knowledge will never be quenched, “Because of this experiences I was sure that I can communicate with any people from different background and [it] helped me so much to get a more diverse point of view for who I am,” he said. With all of these things he decided to compete on the center stage of the barista world, the World Barista Championship (WBC). Then after 2 years in joining the said competition, he finally won and received the coveted 2014 World Barista Champion title. 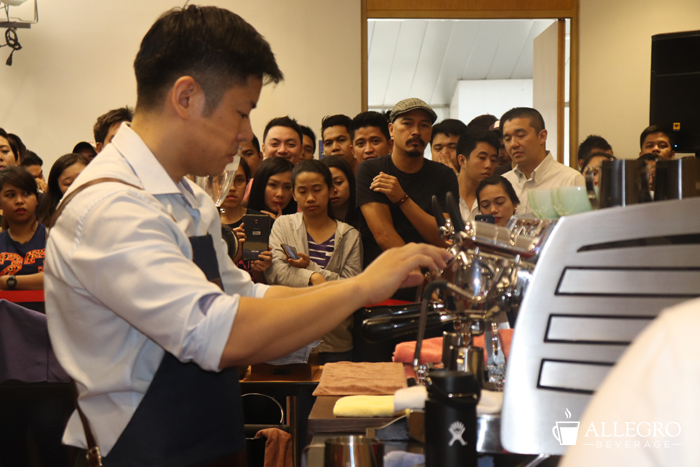 It's a first for any Asian countries and an opening to many aspiring Asian baristas. His challenges in World Barista Championship will never end. He had also trained barista from all over the world such as Sasa Sestic, the World Barista Champion 2015, Charlotte Malaval from France, and Miki Suzuki from Japan. Who knows, come his visit here in Manila, he might get to meet the next Asian Barista Champion and the very first Filipino World Barista Champion. Impossible? Not really. Hide just did it. So why can’t we? After all, he’s asian just like us. We bring you up-to-the-minute news and information to push your business forward. Pete Licata, the 2013-2014 World Barista Champion, recently visited Manila for a series of barista showdowns and to promote the second Philippine National Barista Championship, the country's only barista competition sanctioned by World Coffee Events, organizer of the prestigious World Barista Championship (WBC). 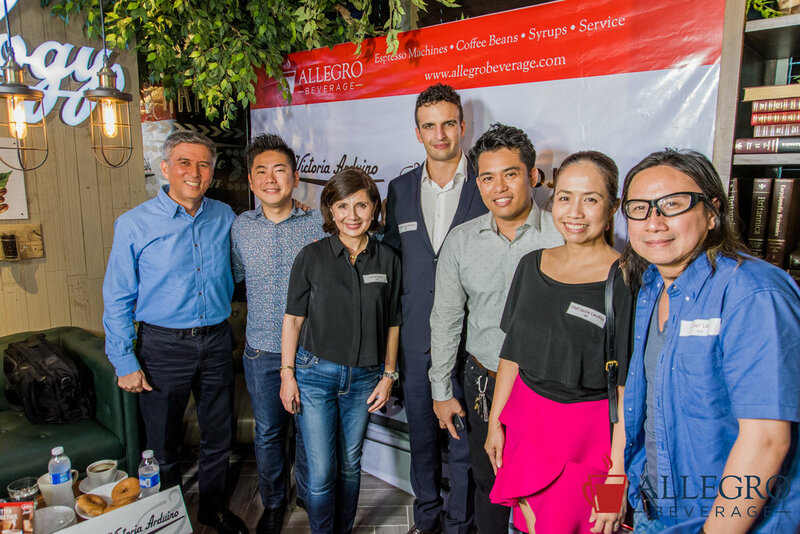 Allegro Beverage Corporation, the number one coffee solutions provider in the Philippines and Guam together with Resorts World Manila, the country’s premiere entertainment and leisure destination, hosted a press conference on January 7 to preview the 2016 Philippine Coffee Championships and RWM Coffee Festival.